Two off duty nurses from Castle Hill Hospital in Cottingham saved the life of a local man this week after he became unconscious whilst swimming. Christina Scurr and Kristina Peat, both Staff Nurses on Ward 26, were enjoying a dip in the pool at Total Fitness in Willerby when the incident happened on Tuesday night. 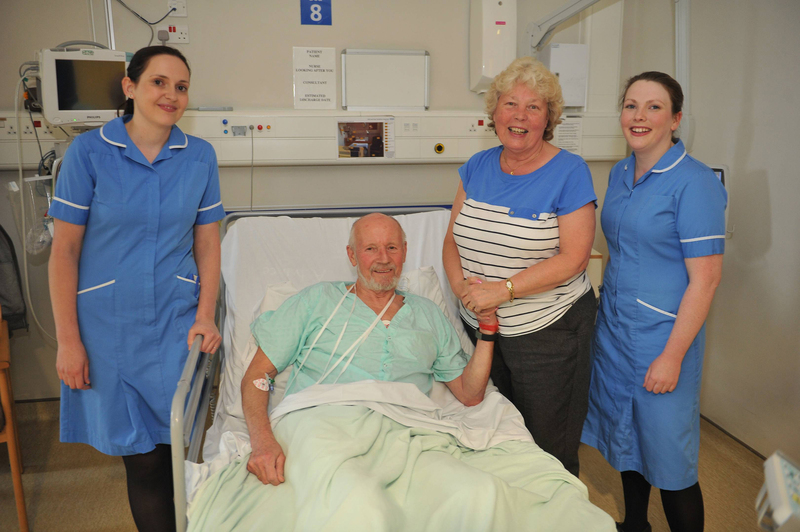 After hearing cries for help, their swift actions and years of nurse training ensured they were able to pull Tony Nichols, from Kirk Ella, out of the water and restore his breathing before an ambulance arrived. “Kristina and I had just been swimming a few lengths when, all of a sudden, we began to hear cries for help from the other end of the pool. We looked over and saw Mr Nichols face down in the water. “At that point, we didn’t hesitate: I swam over whilst Kristina got out of the water and ran round to help. “When we tried to put Mr Nichols in the recovery position, we found he wasn’t breathing, so we began performing CPR. After a number of cycles, he began to breathe so we attempted to put him in the recovery position again, but again his breathing stopped. We performed another round of CPR to re-start his breathing, and we then stayed with him until an ambulance arrived. “It’s often said that a nurse is never off duty, and this was certainly true of Christina and Kristina in this case. What they did was fantastic, and we’re all pleased to see that there has been a positive ending to this story. Mr Nichols is now recovering well from the incident, and both he and his partner have passed on their thanks in person to the two nurses when they met at Castle Hill Hospital on Wednesday evening.